11 pages | 4 B/W Illus. 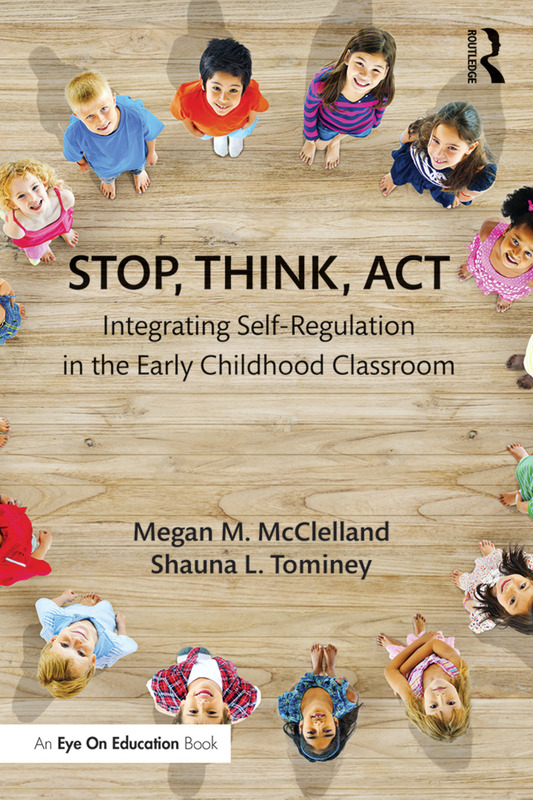 Chapter 1: Self-Regulation in Early Childhood. Chapter 2: Laying the Foundation for Self-Regulation. Chapter 3: Setting up the Classroom for Self-Regulation Success. Activity Break #1: Circle Time Games to Promote Self-Regulation. Chapter 4: Self-Regulation and Circle Time. Activity Break #2: Supporting Circle Time Transitions Through Self-Regulation. Chapter 5: Self-Regulation and Curriculum Areas: Literacy and Math. Activity Break #3: Self-Regulation Games Promoting Literacy and Math. Chapter 6: Integrating Self-Regulation into Outdoor and Gross Motor Play. Activity Break #4: Self-Regulation Games in Outdoor and Gross Motor Play. Chapter 7: Engaging Families in Self-Regulation Development. Chapter 8: Self-Regulation Assessment and Intervention. Chapter 9: Conclusions and Additional Resources. Megan M. McClelland is the Katherine E. Smith Healthy Children and Families Professor in Human Development and Family Sciences at Oregon State University. Her research focuses on optimizing children's development, especially as it relates to children’s self-regulation and school readiness, including links between self-regulation and academic achievement from early childhood to adulthood, recent advances in measuring self-regulation, and intervention efforts to improve these skills in young children. Shauna L. Tominey is an associate research scientist at the Yale Center for Emotional Intelligence. As the Director of Early Childhood Programming and Teacher Education, her work focuses on developing and implementing programs aimed at improving social and emotional outcomes for children and families.